I am unable to shutdown or restart my PC with Windows OS. Whenever I try to select the turn off option or restart nothing happens. Can you tell me why this is happening? ANyway to fix this issue? Re: How to shutdown properly when I am not able to even selecting the Turn-Off option? Well its a very easiest process. 1. click the Start Button with your mouse, then select the Turn Off menu and finally click the Turn Off icon on the Turn Off computer dialog. -Now your task manager is open. -now use your mouse and go to options then shut down. -If you are unable to use your mouse for selecting option then use tab key and up down arrow to select the shut down and press enter. Seems like you can't access the normal shutdown. i.e from the start up menu, you can't access the turn-off option. Apart from that, there are several ways by which you can turn-off your computer normally. Right click on the taskbar or press Alt+Ctrl+Del & select the task manager. Select the User tab & right click on the user/users option & select Log Off option. But before doing that, close all the running process except windows explorer & task manager from process tab & selecting the end process tree option individually by right clicking on each process. Confirm it by providing the user password (if any) & wait for some time while the computer turns off itself. 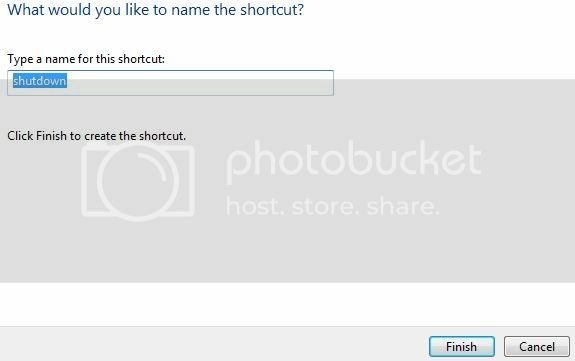 Select Shortcut option & click on it. Type shutdown.exe -s command in the edit field & press enter two times. A new shortcut icon will appear on your desktop. Right click on the file & click on properties. 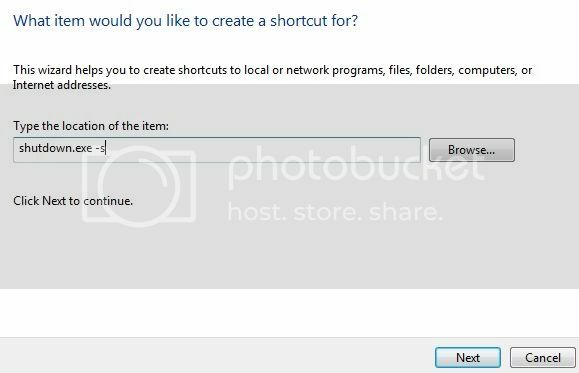 Select any of the icon for the shutdown shortcut key & press apply+OK. Now double click on that icon to shutdown your computer. severity of the situation thats happening to you demands immidiet attention. Shutting down system by disconnecting power source or some other crude method means somethins gone wrong with the software let alone to what extent it might go. Simplest way is to re install the Windows OS from the scratch. Another way is to repair the OS by installing the fresh files removing files those are corrupted for that you need to insert the Windows original CD in the drive and selecting "Repair". The third option is to use the strenuous means of editing options using Task manager which might not help if the files are corrupted. --->press "ALT+CTRL+DEL" or Right click on "Task Manager"
--->Go to the "User" tab. Hiiiiiiii here i am to solve to your problem k there are many ways to shut down the pc k.
2.You can also see a power off button present on your keyboard if you have a latest keyboard . 3.You can also see a shutdown option by opening the task manager k.